Wow! Move in ready is an understatement! As you walk into this spacious 4 bedrooms, 3 bathrooms home you'll instantly notice the open concept living room, perfect for entertaining and ready to create millions of memories! This home has tons of natural lighting pouring right in, showing off the freshly painted walls, leading right into your newly spruced up kitchen updated with a gorgeous backslash, new counter tops, top of the line new stainless steel appliances & a huge space for a breakfast nook. 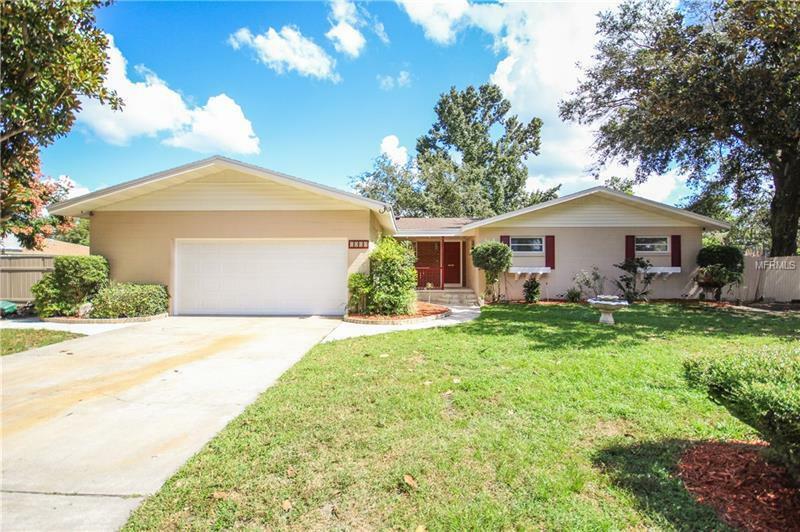 This home is been updated with top of the line details like new laminate floors, updated baths with new vanities, new tiles, new light fixtures and NEW ROOF with a transferable warranty!! Need I say more?? This home is built on one of the largest lots right here in the neighborhood, built with a over sized garage, full outdoor bath, home backs into beautiful tree, YES that means no back neighbors!!! Giving you all the privacy needed. Tons of space, large rooms, split floor plan and not to mention, MOVE IN READY, no work needed. Buy feeling confident, knowing you wont be needing to do work for a long time. Located just minutes to schools, gas stations, shops and so much more. Very quiet location and very well kept property that you would love to call home. This home is great for first time home buyers or investors! So many updated, too many to count! Come on in and be ready to fall in love!